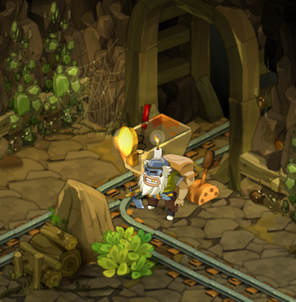 There are many Transportation methods on Dofus, although access to some require Kamas or the completion of certain quests and dungeons. This is a common Transportation mode, Zaaps are gates that allow players to teleport between them across the world for a small fee. These are Boats that sail between islands, taking players to other islands for a fee. These are similar to Imp Carriers carrying players over an island, although players need to clear a certain dungeon to gain access to it. After completing the Shushu Shack quest players have access to this Transportation feature, which can take you to three specific locations. Players need to pay a small fee and kill 2 dark miners to gain access to the Railway travel, this allows you to travel underground between mines. Similar to the Zaap Transportation, but it is more for players to travel all around cities. Similar to Zaapi, Quay can Transport players all around Sufokia for a small fee. Available in Otomi Island only, players can travel between certain NPCs after having completed their quests. Other Transportation methods include: Teleportation Potion, Alliance Prism, Cannon, Foggernaut submarine and Transportation to Astrub.